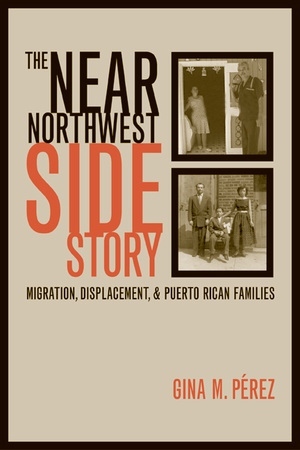 In The Near Northwest Side Story, Gina M. Pérez offers an intimate and unvarnished portrait of Puerto Rican life in Chicago and San Sebastian, Puerto Rico—two places connected by a long history of circulating people, ideas, goods, and information. Pérez's masterful blend of history and ethnography explores the multiple and gendered reasons for migration, why people maintain transnational connections with distant communities, and how poor and working-class Puerto Ricans work to build meaningful communities. 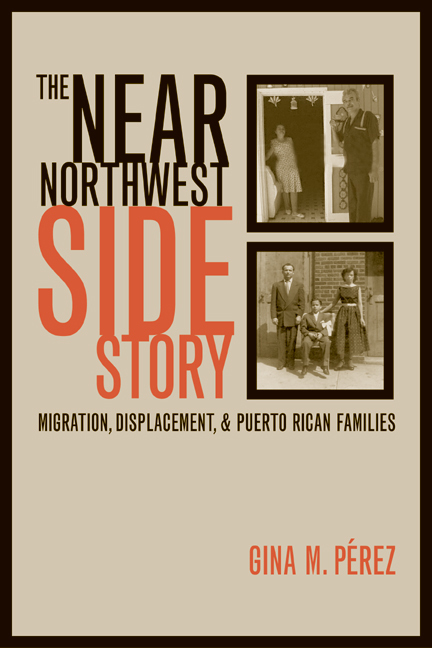 Pérez traces the changing ways that Puerto Ricans have experienced poverty, displacement, and discrimination and illustrates how they imagine and build extended families and dense social networks that link San Sebastian to barrios in Chicago. She includes an incisive analysis of the role of the state in shaping migration through such projects as the Chardon Plan, Operation Bootstrap, and the Chicago Experiment. The Near Northwest Side Story provides a unique window on the many strategies people use to resist the negative consequences of globalization, economic development, and gentrification. Gina M. Pérez is Assistant Professor of Latina/o Studies in the Comparative American Studies Program at Oberlin College.